Ben Carson’s advisers tell the NYT he has a foreign policy problem. Ben Carson speaks during a news conference before a campaign event at Colorado Christian University on October 29, 2015 in Lakewood, Colorado. 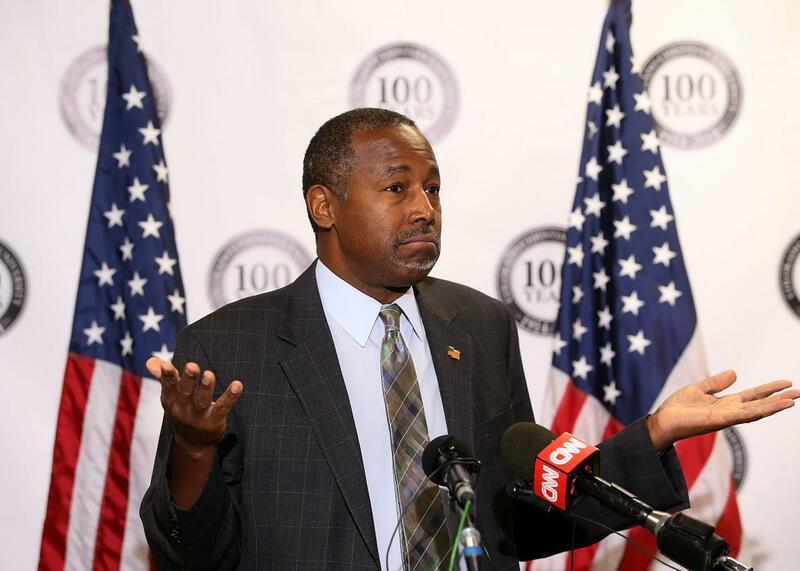 Ben Carson is in no danger of being mistaken for a foreign policy expert. In the past week alone, the former neurosurgeon wrongly claimed on the debate stage that China had intervened militarily in Syria—a position that he later defended by suggesting he had “better” intelligence sources than the White House does—and then failed three times during a Fox News interview to name a single ally he would reach out to first to help fight ISIS. Those type of throw-your-candidate-under-the-bus comments would have been newsworthy if they had come from unnamed sources from within Carson’s camp. The fact that they were made during on-the-record interviews with the nation’s paper of record only made them more troubling for the campaign. Regardless, the comments illustrate the difficulty Carson’s unlikely campaign faces now that the campaign is being dominated by national security and the Middle East following last week’s terrorist attacks in Paris. As I explained on Monday, Carson and Donald Trump actually entered the conversation with something resembling the upper hand. In a Reuters poll released earlier this month, the two men easily bested the field when respondents were asked whom they trusted most to be commander in chief, negotiate with foreign leaders, and handle our nuclear arsenal. It’s still early, but in the days since Paris, Trump’s been able to press that advantage by playing on voters’ fears, while his fellow outsider has floundered. When Reuters pollsters asked Republican voters this week to choose which of their potential nominees was best-suited to address terrorism following last Friday’s attacks, Trump led the field with 33 percent, followed by Marco Rubio at 17 percent. Carson, meanwhile, tied for third place with Jeb Bush at 9 percent. From the sounds of it, Carson would have fared even worse if the pollsters had surveyed his own campaign.